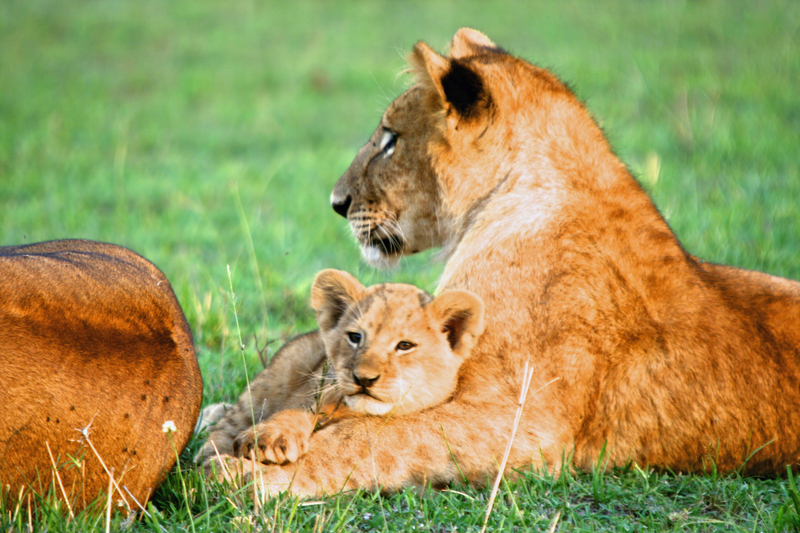 The Top Ten Wildlife Areas of East & Southern Africa! Actually they’re my ‘Top Ten’ as like all choices it’s all subjective and highly personal, however after nearly 30 years of taking groups on safari in East and Southern Africa I know what works and which areas make for a great safari destination! 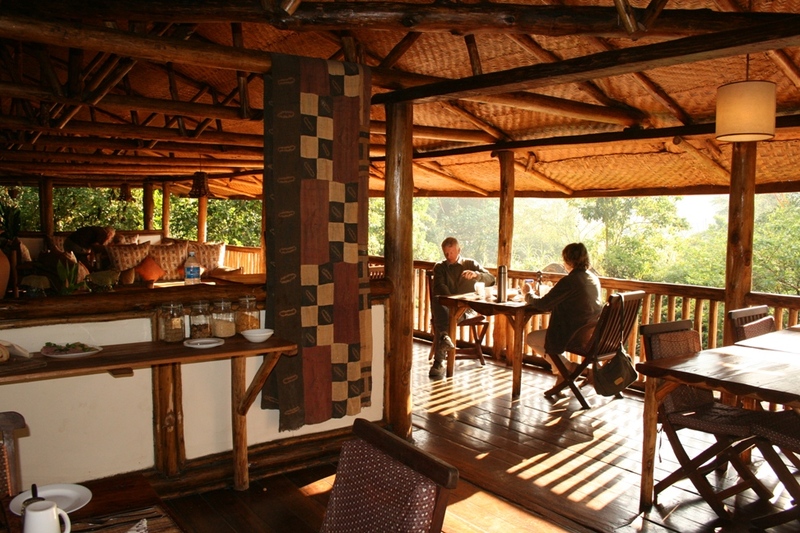 Of course, there’s far more to it than simply the destination: you have to be there at the right time of the year, in the right part of the park and doing your safari in the right way, but if you end up visiting a combination of any of my Top Ten, you’ll have a wildlife experience to savour! Over the next month or so, every few days I’ll be posting a new blog with the next entry on my list, with information on why the area is such a great safari destination, when and where to go, how long you might want to stay and what to do there. Starting tomorrow with the jewel in Botswana’s crown – The Okavango Delta! Talk tomorrow – and to make sure you don’t miss any of the ten, click on the Follow button at the bottom of this Blog which will alert you when a new blog is posted. Uganda has many attractions as a safari destination: it’s the source of the Nile, has fantastic birding, great scenery and wonderfully friendly people, as well as some good wildlife viewing in parks such as Queen Elizabeth, but what sets it apart from it’s East African neighbours is its primates, and in particular its mountain gorillas and chimps. 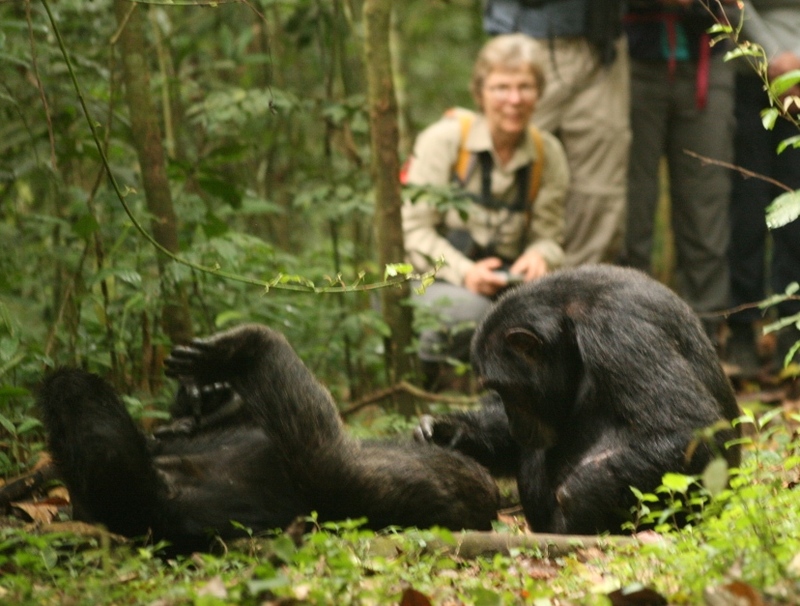 I’m told that while Uganda and Rwanda have less than 15% of the chimp and gorilla populations in the whole of Africa, those two countries are responsible for over 90% of research on those two great apes. What this means for visitors is that you get the chance to be extraordinarily close to wild but habituated primates, sometimes within just a few feet, and those same animals will ignore you almost completely. Theyare not tame, but have been habituated to people over a period of years, and this gives us a great opportunity to watch them. 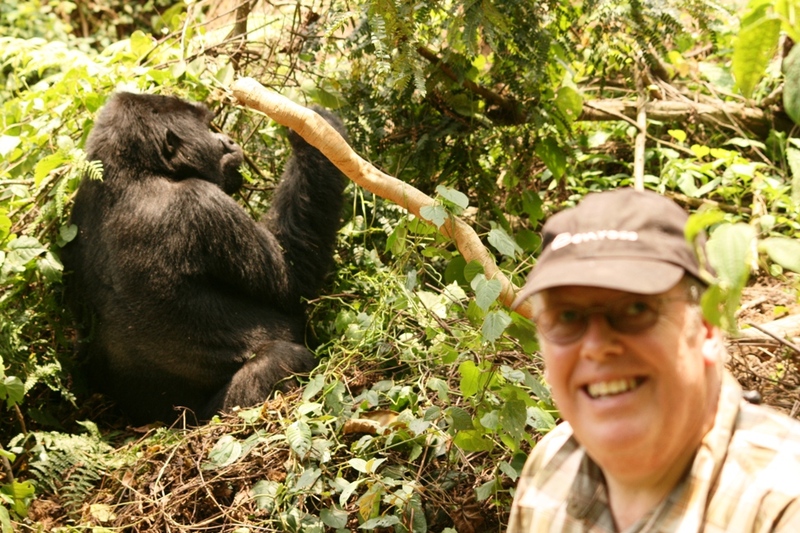 Gorilla trekking in particular is expensive, the permit alone in Uganda is $500 per person per day, and a good level of fitness is required to walk through the forests in search of the gorillas, but not only can you have a unique experience, but you also know that money from your permit is going towards the conservation of great apes. It’s no coincidence that out of all the populations of wild gorillas in the world, only one population is increasing: the mountain gorillas of Uganda and Rwanda, who are the most viewed and whose governements now have a great financial incentive to protect them. There are other primates to be seen; Kibale Forest in Uganda and Rwanda’s Nyungwe Forest boast 13 species of primate each, and recently in Bwindi Impenetrable Forest we saw four speces of monkey walking between lodges: black and white colobus, L’Hoest, red-tailed and grey-cheeked mangabey, not to mention the Goliath Beetle, about six inches long and making the sound of a small aircraft! Impressive stuff! The Great Migration 2015 Update! The Top African Safari Destinations!